Living in California with the Pacific Ocean right in our backyard, it is no wonder that water sports and water activities are such popular pastimes. However, although they offer excitement and adventure, boating and watercraft activities are also accompanied by a unique set of risks. It is when these risks are disregarded that innocent fun can turn dangerous or even deadly. Boating and watercraft accidents are an all-too-common occurrence in southern California’s waterways. They can be caused by operator inexperience, recklessness or carelessness, piloting a boat or watercraft while impaired by alcohol or drugs, skier or passenger behavior, equipment failure, or improper boat loading as well as countless other factors. Needless to say, each boating and watercraft accident is different. While it is critical for an injured party to obtain an attorney with experience in boating and watercraft accident cases, it is just as important that the attorney approach each of these cases with equal enthusiasm, care, and a fresh eye. 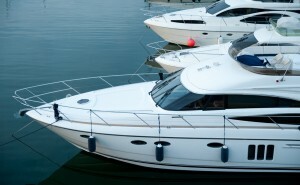 At Berman & Riedel, LLP, our attorneys have years of experience in litigating boating and watercraft accident cases. We also realize that each case presents a unique set of facts and issues, often involving complex legal and safety considerations. For this reason, Berman & Riedel, LLP does not hesitate to consult with technical, medical, and economic experts to develop the strongest case possible and maximize recovery for our clients. If you or a loved one has suffered injuries as a result of another person’s negligent or reckless misconduct in causing a boating or watercraft accident, Berman & Riedel, LLP can offer the experience and skill necessary to provide you with sound advice on how to protect your legal rights. Contact an attorney at Berman & Riedel, LLP, to discuss your legal options.